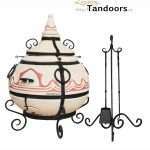 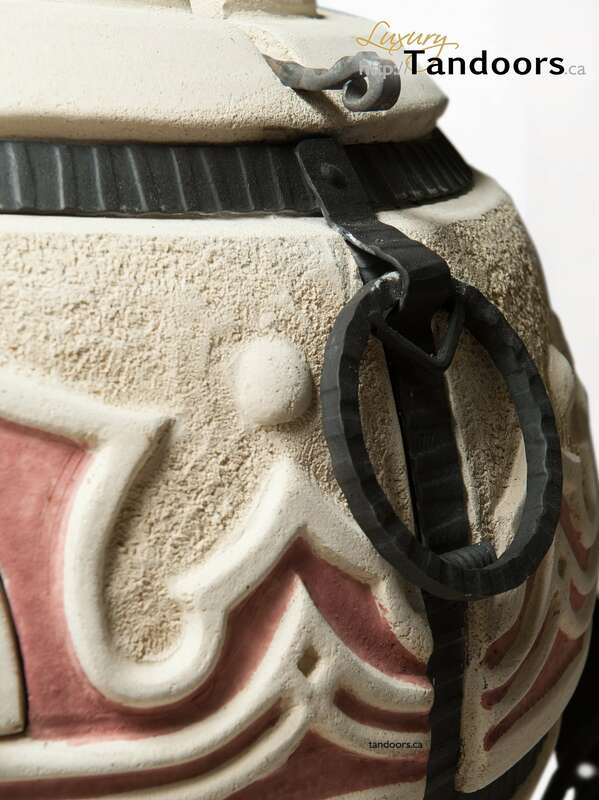 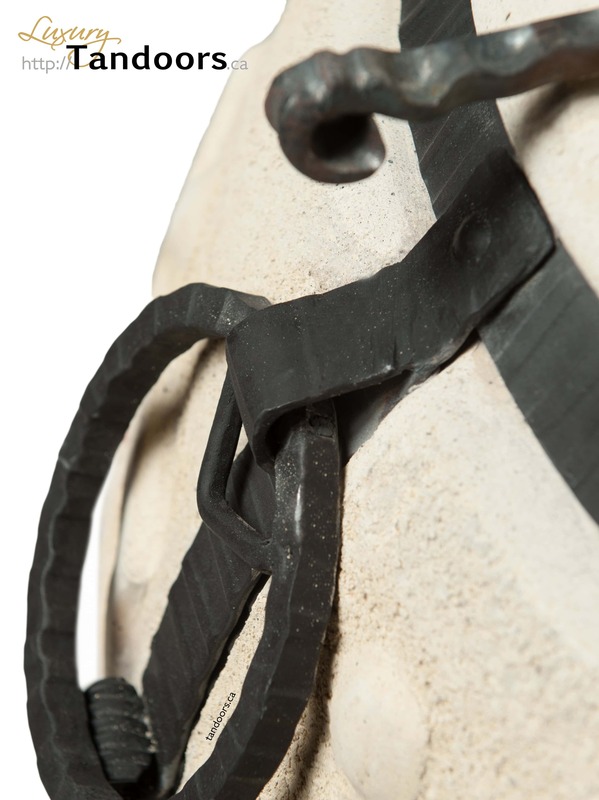 The Tandoor Oriental features an Asian inspired design, highlighted with red sienna pigments on the clay body. 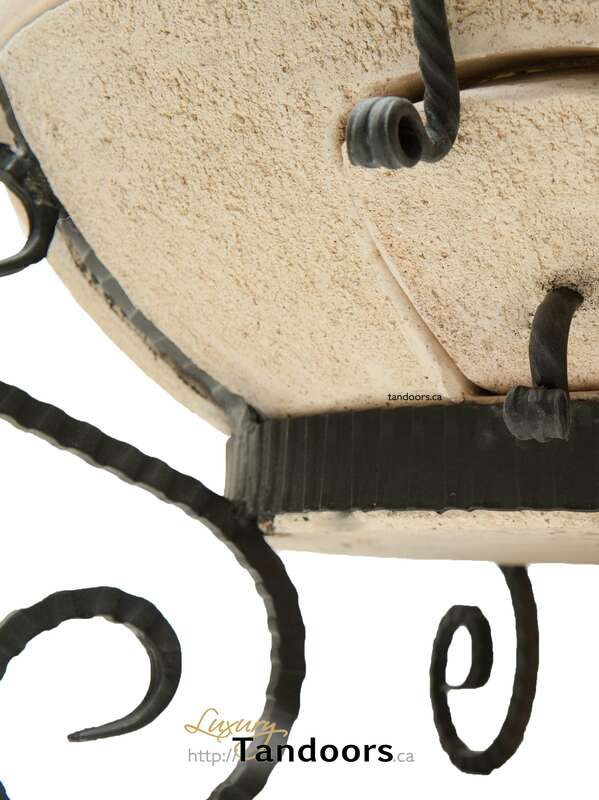 It has an extra large mouth with the ability to accommodate more than 20 skewers. 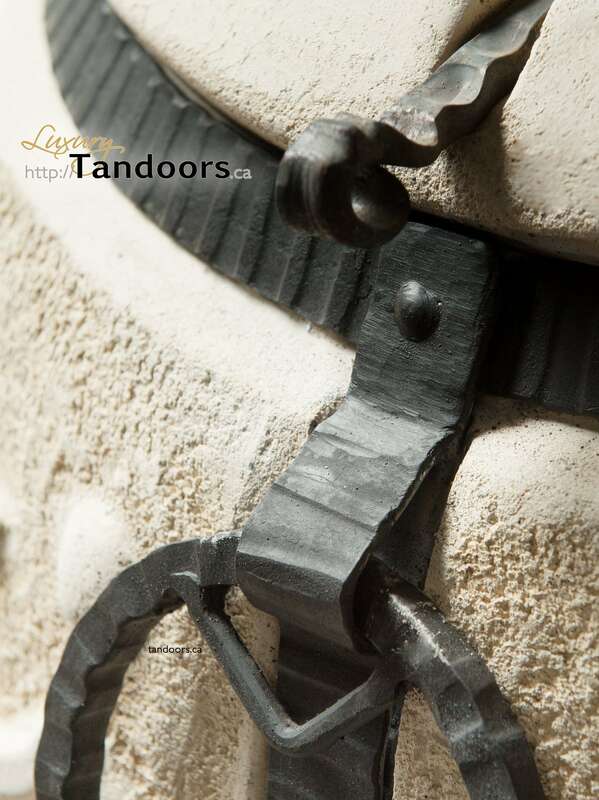 The large internal surface area on this tandoor also make it the perfect choice for those that like to make lots of naan. 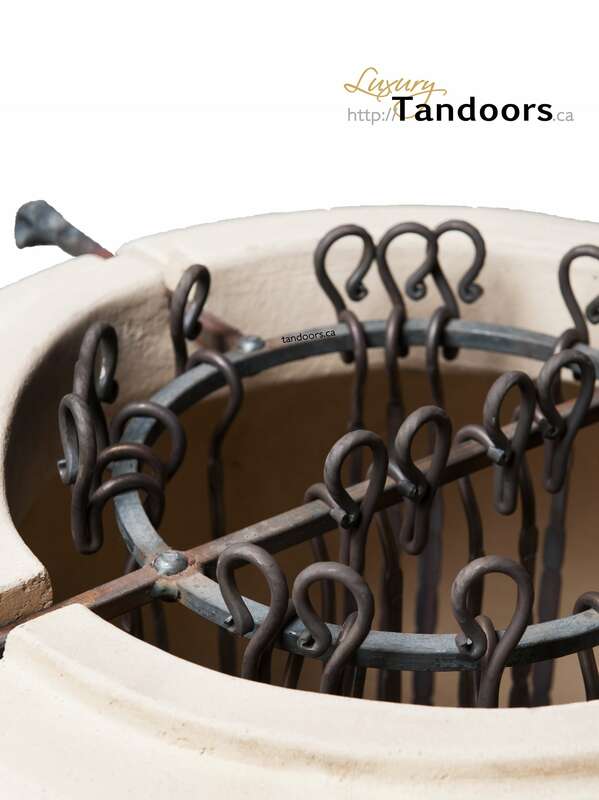 This oven is the perfect example of the synergy between both beauty and function that all of our tandoors have. 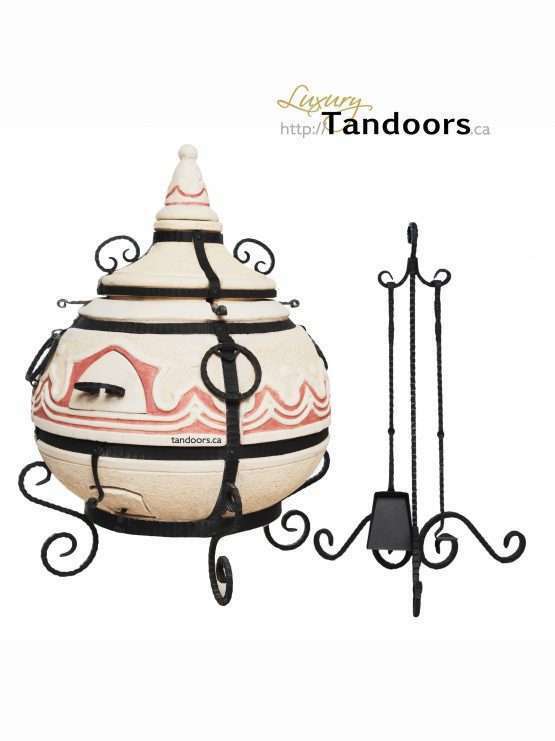 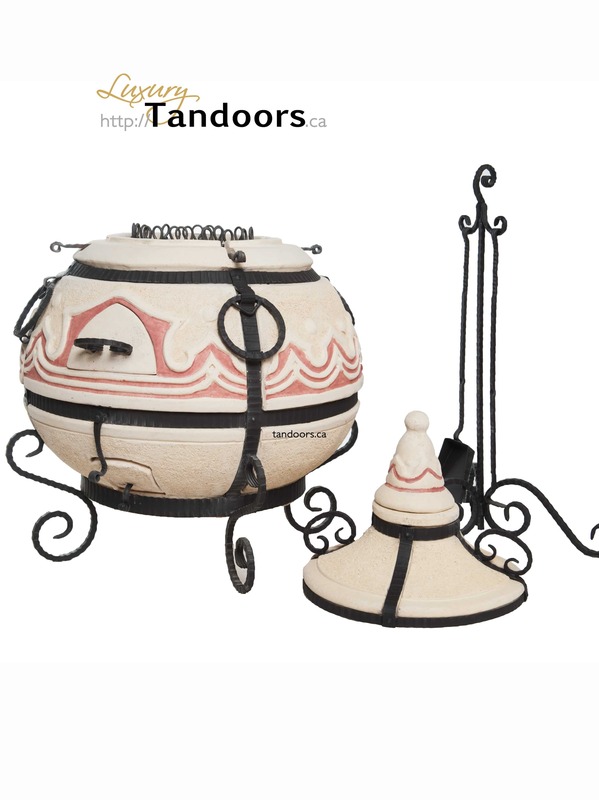 With all of these features, the Tandoor Oriental is sure to become a centerpiece of your backyard. 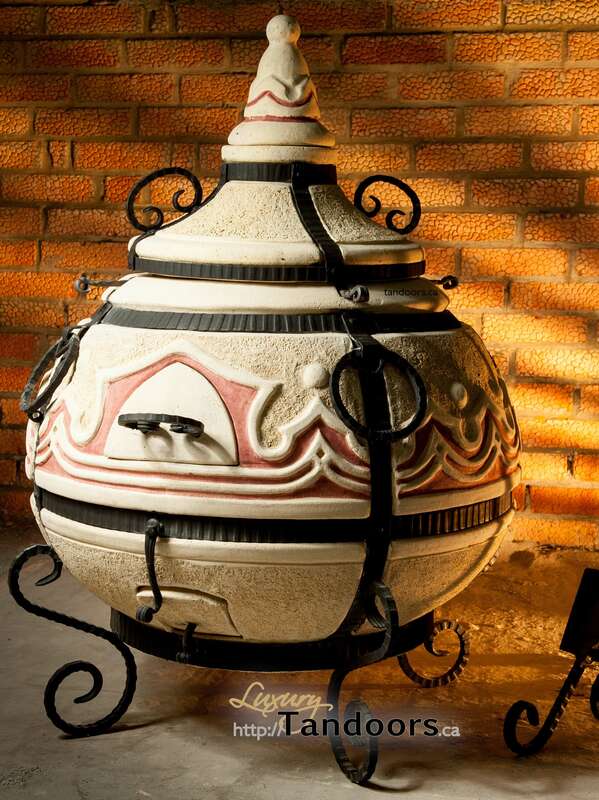 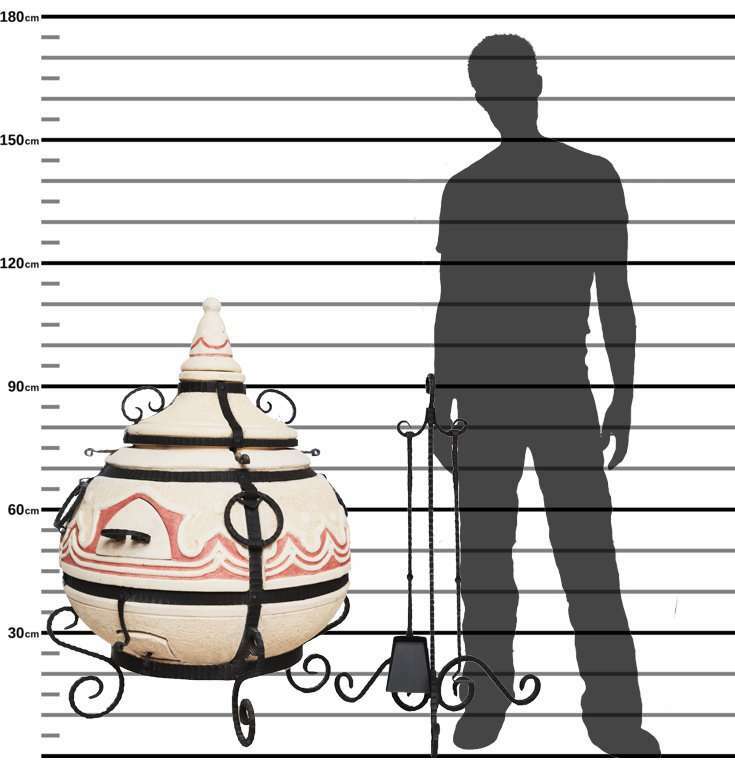 Standing at approximately 3 feet and 8 inches, with a mouth just shy of 14 inches in diameter, and a belly width of 31 inches, this large oven will impress all of your guests. 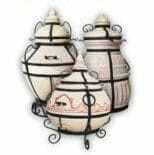 The Oriental features a built-in base and has an accessory package that includes an ash grate, ash shovel, ash scraper, accessory stand, skewer hanger, and 20 skewers.